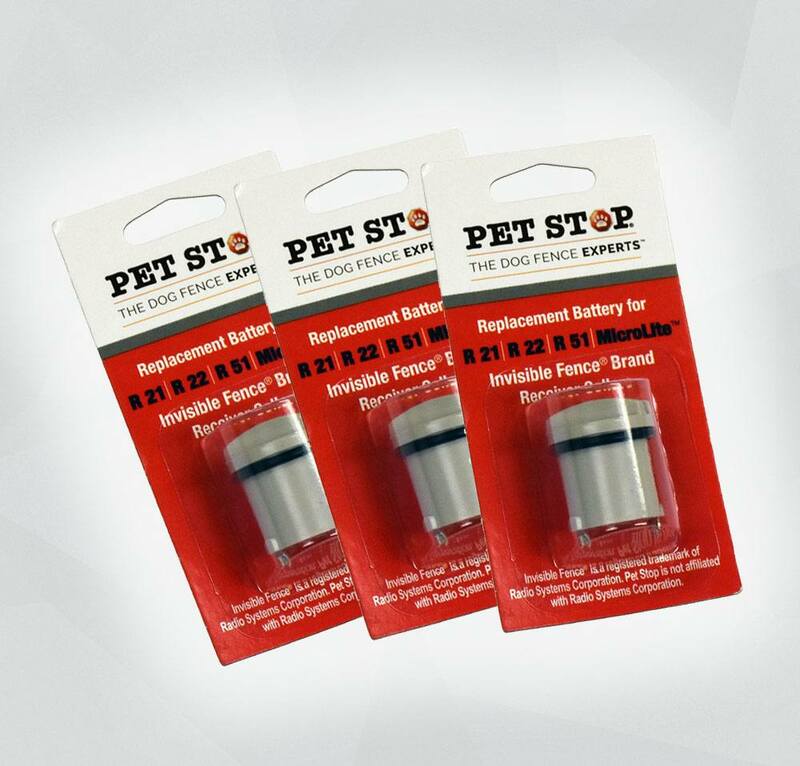 3x of the Pet Stop Brand Invisible Fence® Replacement Battery. The best solution for keeping your Invisible Fence® Brand system operating safely. 2x of the Pet Stop Brand Invisible Fence® Replacement Battery. One of the Pet Stop Brand Invisible Fence® Replacement Battery. All Pet Stop® products are 100% designed & manufactured in the USA! Order directly from Pet Stop®, and gain access to the Pet Stop Dealer Network! The Pet Stop fence has been great for us. We live on a number of acres alongside a busy road. The fence gives us peace of mind and freedom for our dog. It also keeps our dog from following wild .. In late July, a huge male bear came into our yard, right in front of my two dogs, Moose and Mattie, and myself. I found myself not even 15 feet from the bear. Needless to say, the dogs went wild ..